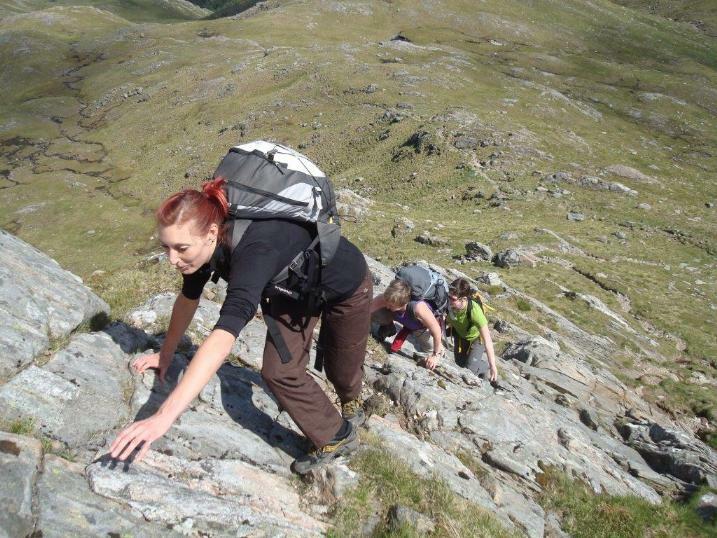 Go rock climbing outdoors with us in the Peak District this year in April or May. Meet fellow climbers, find out more about the Club, and learn how to progress from indoors to outdoors. These weekends provide the opportunity for potential new members to find out more about the Club, and meet fellow climbers with a range of abilities and ages. It can be daunting to move from the security of the climbing wall, to placing your own gear, setting up a safe belay, and working out where a route goes in the outdoors. Joining up with a mountaineering club and its club members, who have been there before and often have many years experience, can ease this move. Members are able to offer informal advice, mentoring and climbing partners while Club membership provides access to BMC training courses. 14 April – Outdoors: Birchen Edge, from 10am (meeting at the car park adjacent to Robin Hood pub). Ideally you will have, as a minimum, climbed indoors, have your own harness, belay device, helmet and shoes and can tie on safely and belay someone competently. However, the club has some equipment which will be available on both weekends. If in doubt, please speak to Andrew (see below). 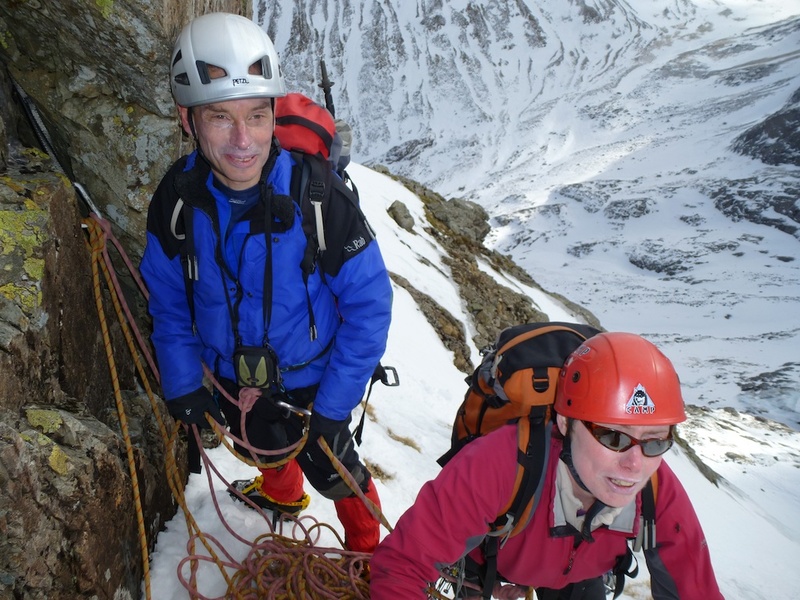 Castle Mountaineering Club members undertake a wide range of activities including rock climbing, mountaineering, walking, trekking, skiing, ski mountaineering, ski touring, cycling and mountain biking. We are a sociable and supportive group with a lot of combined experience. What unites us is our love of the outdoors, whether it’s the great countryside on our doorstep in the Peak District or adventures further afield. If you would like to join us on one of our weekends, it is important to contact us in advance, to let us know your details, in case we have to inform you of a change of venue, due to bad weather. Andrew Milne, membership secretary can be contacted on 0114 268 6605 or via Contact Us on the Home page. The Castle Mountaineering Club, based in the Sheffield/Peak District area, is holding two Rock Climbing weekends in April and May 2018. These weekends, provide the opportunity for potential new members, to find out more about the Club, and meet fellow climbers with a range of abilities and ages. Sunday 22nd April Outdoors: Burbage North, from 10.30am (meeting at the Upper Burbage Bridge car park). It can be daunting to move from the security of the climbing wall, to placing your own gear, setting up a safe belay, and working out where a route goes in the outdoors. Joining up with our club members, who have been there before and often have many years experience, can ease this move. Our members are able to offer informal advice, mentoring and climbing partners while Club membership provides access to BMC training courses. Andrew Milne, membership secretary can be contacted on 0114 2686605 or via our website (www.castlemountaineering.com). Image copyright Peter O’Donovan. Provided solely for publicising Castle Mountaineering Club. The idea started off at a club dinner, so it may need altering in the more forensic light of alcohol free thinking. So ideas, suggestions, feedback on whether it is feasible etc etc are very welcome. Originally the challenge was going to be over one week – but we thought that might be too much and it meant that if people were away that week they would miss out completely, so we have extended it to three weeks. So each week, over three weeks, we are suggesting a different challenge. These “challenges” are meant to be fun and a combined effort (although individuals can incorporate a personal challenge) and are a chance to celebrate the club’s roots in the Peak District. Each week works out to be a bit more of a challenge than the previous week. Week One: Monday 10th – Sunday 16th July. Cycle challenge: 500 miles of cycling in the Peak District. Week Two. Sun 16th – Sun 23nd July Walk 500 Peak District miles. Week Three: Sunday 16th – Sunday 30th July Climb 500 Peak District routes. This is centred around Andrew Milne’s 60 climbs in a week (end) to celebrate his birthday. Each person climb counts, roped, unroped, leader, second etc…All routes must be in a guide book and in the Peak District. Obviously it is difficult getting three clear weeks; Steve Warwick is organising a week’s cycling in the Isle of Man during the walking week, so some club members will be away, but hopefully there will be enough club members still around to get the miles in…. Mary will be co-ordinating the count, which hopefully will appear on the website as a running total. So if anyone does any walking, cycling, climbing in the Peak District during the relevant week – just let her know – it all counts. Question: Should we amend the Peak District rules for those, who would like to take part, but who live some distance from the Peak District (eg Scotland) ?? Sean has suggested that the club also tries to complete the Peak District Boundary Walk during this year. The Friends of the Peak District have put together a 190mile walk encircling the Peak District. The whole walk is covered in 20 day walks. We thought that from the official opening on June 17th to the dinner in October the club collectively walks the whole route. Any miles of this walk done in the walk challenge week will be gratefully accepted. More on this on your website soon. We hope to put more details on the website, but we don’t want to over organise this, and really the whole idea is just to celebrate what we do, as well as the Peak District and the Club. Let us know if you think this is a goer .. Most of all it’s meant to be a bit of fun. PS: Should we also aim to have 50 person cafe stops? That’s my type of challenge. This year the Club has entered its 45th year, and to celebrate, the Committee has decided to hold a party as close as possible to the date that the Club was officially constituted (believed to be the 9 October 1967). This will take place in the Clubroom, starting from 8pm. Any members past or present and invited to join us, and we ask that those who are still in contact with former members to spread the message. We are keen for as many ‘senior’ members to attend as possible, so that we may show our gratitude to their efforts in establishing such an important element in many of our social lives. Hopefully, it will also provide an opportunity to reunite former ‘ropemates’ and for newer members to hear some tall tales from earlier times. Do not hesitate to contact us if you want further information. We look forward to seeing you on the 4th October. A reminder that the annual photo competition is not that far away. This year it will be judged by Frank Mellor, who many of you will remember as a long-standing former member of the Club. There are 3 competitive categories plus a Club Interest section. You can enter up to 4 photos in each of these categories. Points will be awarded for the top 4 photos in each category and the CMC Photographer of the Year will be the person who scores most points. As an added incentive we have a brand new trophy this year – yours can be the first name on it! The 4th category is Club Interest. You can enter as many photos as you wish. The idea is to depict something unusual, embarrass your friends or, better still, make us all laugh. The winner is chosen by consensus on the night. Please supply your photos in a .jpg format. There are no specific rules concerning photo editing through PhotoShop etc. BUT the Judge’s decision is final. A photo of you on the latest E10 or the summit of Everest is likely to be rejected! Photos should be supplied on a CD containing a folder for each category. Please put your name clearly on it. Add a tag with locational details if you wish. If this is not possible you can also enter by memory stick or by email to this address. Closing Date is Thursday 12th April. The Clubroom will be open on that date. Otherwise you can post or drop them off at my house. …and so the club enters 2012, and from where I’m sat it looks rather exciting. Lots of new members, talk of big trips already rumbling, the club climbing wall spruced up and ready to go, and lots more plans in the pipeline…. we just need it to stop raining!! An important change that I’d best post here for those who have not recieved (or read) the AGM minutes, is that clubhouse meets will now be on the first and third Thursdays of the month. We intend to produce a line-up of interesting events through the year, kicking off this month with a slideshow on the Tatra Mountains (5th Jan) and a Curry & Climbing evening (19th Jan). I’d also like to remind people that it’s subs time again. This year it’s my turn to hassle you all to renew, so if you see me at a meet then please come and make your donation. For those of you whose paths don’t tend to cross with mine, I’ll come and find you once I’ve got the members list sorted. So, with all those new years resolutions at the ready, here’s to a great year ahead. Just remember: don’t go doing anything TOO interesting, or you’ll have to do a slideshow about it next winter 😉 Happy adventuring! Many past and present members of the Club attended the funeral of Patrick Peace on 13th October 2011; Pat, who was twice President of the Club, and was an Honorary Life Member, died at the end of September, aged 97. Patrick was the first member of the Castle Mountaineering Club I met when I first went along to the clubroom behind the Rising Sun Inn on Abbey Lane. This was back in 1973. Pat was standing with Mary just by the door. He introduced himself, and, as with so many other first time visitors to the Club, he and Mary took me under their wing, gave me a meets list, introduced me to other members, and enthused about climbing and mountaineering. I was soon attending my first Club meet. By that time Patrick was already a long-standing member of the young club. He and Mary had joined it in 1969, just two years after it was founded, so they were in pretty well from the start. Patrick served the Club in many different roles. He was Vice-president, President (twice, in 1976 and 1980). At various times he was Equipment Custodian and Clubroom Custodian and he was a member of the committee for many years. In recognition of all this, he was awarded Honorary Life Membership of the Club. He used his practical skills to help the Club; for example he made a lot of flags and stickers in the shape of an orange Castle (the Club logo) which members could put on their tents and cars (or motorbike in my case) so they could find each other more easily on Club meets. He also supported SACC, the Sheffield Association of Climbing Clubs, as he served as chief timekeeper and starter at the annual fell race organised under the auspices of SACC. Of course he was supported in all this by Mary, who also did her stints as president, committee member and meet organiser. Together they were invariably referred to in the same breath as: “Pat’n’Mary”. Patrick, accompanied by Mary of course, was a very active Club member in the 1970’s and early 80’s and a consistent attender at Club meets, both local and away. Looking through my old logbooks, it is noticeable how often Pat’s name appears in my notes of Club meets. Although Pat did some hillwalking and scrambling, and I particularly remember an ascent of Cader Idris with him and on another occasion a traverse of Striding Edge, his real love and forte was rock climbing. 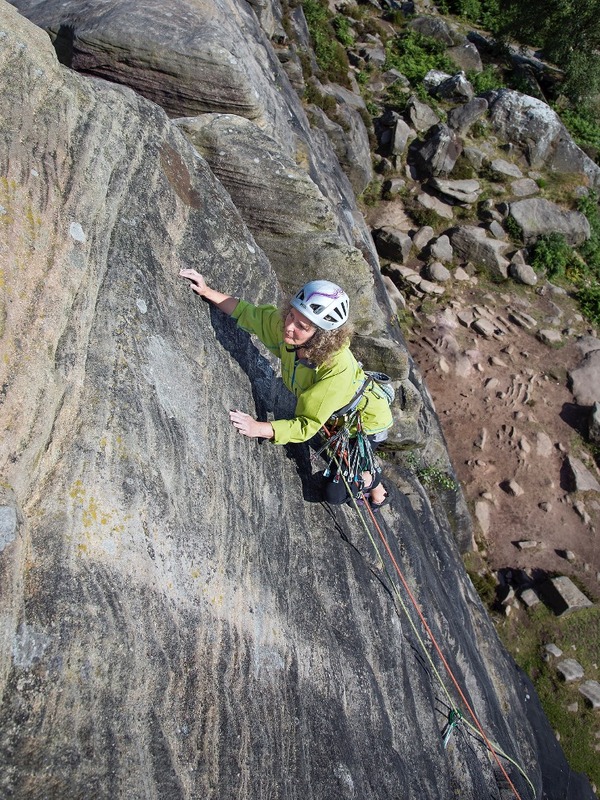 This was particularly the case for local crags like Stanage and Froggatt Edges. Pat seemed to have an encyclopaedic knowledge of the climbs and could tell you exactly where each hold was and what to do with it. He was always calm and laidback. I never saw him get gripped on a climb. He was also seen at social events which occurred frequently in those days. Apart from Club events like the Annual Dinner, and sessions in the pub after a good climbing meet, there seemed to many parties in those days, where Pat could always be relied on for a good conversation about climbing. I am sure other Club members will have many memories of Patrick, and some good reminiscences to recount later. Let me just just finish by saying that Pat was a great guy. It was a pleasure to have known him as a friend. He was a gentleman and a climber, and you can’t say better than that. The (shortish) business part of the meeting, including a review of the year by Andrew, our current President, will be followed by a social event including food. Members, please come along and support your AGM. You will be sent relevant documents by e-mail. Vanda has offered to co-ordinate food; please contact her for suggestions as to what to bring. You should also contact Vanda if you do not receive AGM papers. Interested in finding out more about the CMC? You are welcome to attend. The evening provides an opportunity to meet a large number of our members in a relaxed social setting.